Guns, ammo, Wildlife Tech Mighty Atom e-callers, and shooting supplies with an emphasis on customer service and excellent pricing. We shop the competition so you don't have to. Our team has shooting experience ranging from law enforcement, tactical & personal defense, to hunting predators, big game, wing shooting, and more. 10 weeks to elk. Flipping tires - pushing the sled. In a good spot for opening day. Truth bomb right there. I've been between 10 and 15 percent, years ago (early 20's) and that was a dedication project. Under 10 percent is a huge commitment. 6% is downright shredded. It's a 1 percenter fitness guru thing. It's amazing how much easier hiking is every pound that you lose. trphyhntr - I just did a 2.5 mile no-load hill hike 50% uphill and 50% down - and lighter is always better. Better for the back, feet, knees - etc etc etc. Just btwn 15-16lbs down now is very noticeable. We're officially 12 weeks from archery elk - time for a 12 Week Transformation. I got started on time for a change. Down 14 Since April 26, the day I got my tag in the mail. More to do - got a plan. ONLINE ONLY Five-Day Valentines Special for CW Members is now live on our website at www.healyarms.com Now through midnight on Valentines Day, February 14, 2018 take an additional 5% sitewide - this INCLUDES guns. Unfortunately we couldn't include optics and sights in this offer, but the rest of the online store is fair game. After our most recent comp-shopping excursion we noticed firearm prices edging up all across the valley. We were considerably lower priced than some stores on guns, making this another opportunity to find a great deal on our online selection of Guns, Ammo and Shooting Supplies. Use Coupon Code: CWFeb2018 when you check out to receive your discount. Remember - you can shop online and choose "Pick Up In Store" if you don't want your item(s) shipped. Remember also, guns must be picked up in store OR shipped to a licensed dealer. 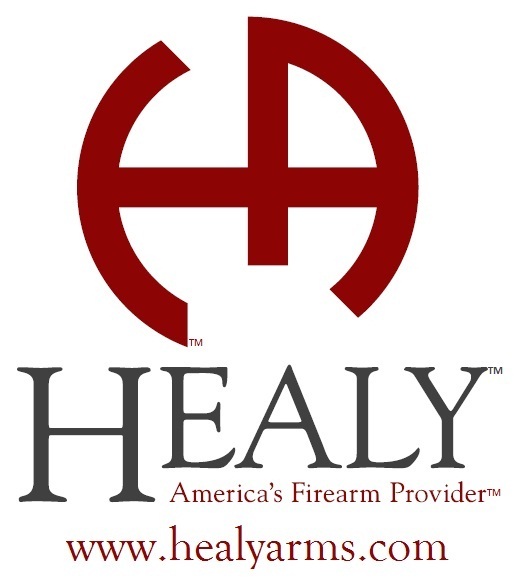 If you experience any problems with the website please lets us know at sales@healyarms.com Coupon is valid for five percent (5%) off one or more items in a single online purchase made before February 15, 2018 (www.healyarms.com). Excluded products: Optics and Sights. To redeem coupon, the code CWFeb2018 must be entered at time of online checkout and is valid for one usage per online account. This coupon does not apply to items purchased in the retail store; however, items purchased online may be picked up in the retail store. Coupon does not apply to applicable sales tax, shipping, or fees. Coupon is not redeemable for cash or gift cards and has no cash value. Coupon may not be applied retroactively to previous purchases. Coupon may not be combined with any other coupons, discounts, offers, or promotions and is void if altered, copied, transferred, auctioned or sold. Coupon is only valid on in-stock item at Healy or in-stock items at one of Healy's suppliers -- no rain checks issued. All federal, state and local laws apply. Other restrictions may apply. Customer is looking for a Globe/Miami area game meat processor. I searched for a CW thread that has this information - no luck Suggestions please.